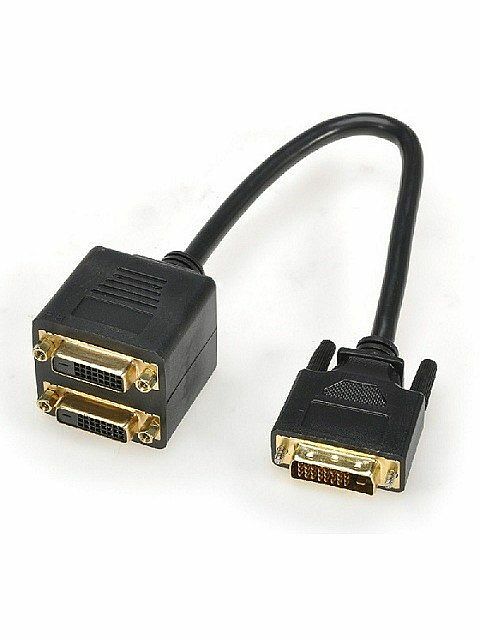 This cable split the digital DVI-D output from your PC to use with two monitors. The same image will be displayed on both monitors. This splitter has one male and two female connectors. 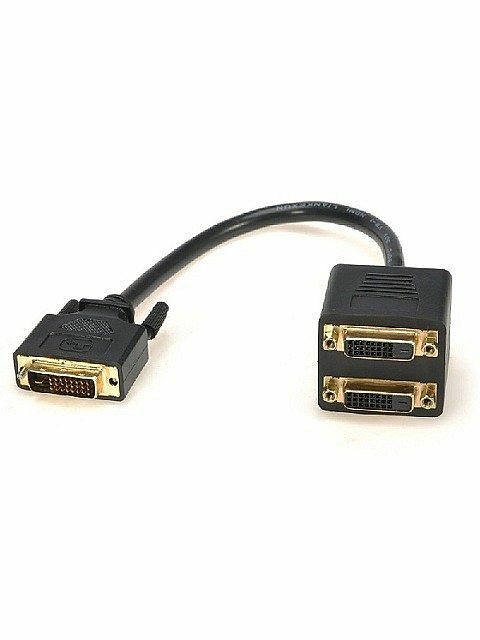 Use it with two DVI-D cables to go from the splitter to the monitors.